Full Video : https://youtu.be/xlKyvWg4HEo My name is Ckeelay and this is my first Remix video to my Remix series & I hope to bring you many more along with giveaways, exclusive Music to my next project, and much more! If you would like to stay updated follow my social Media down below! 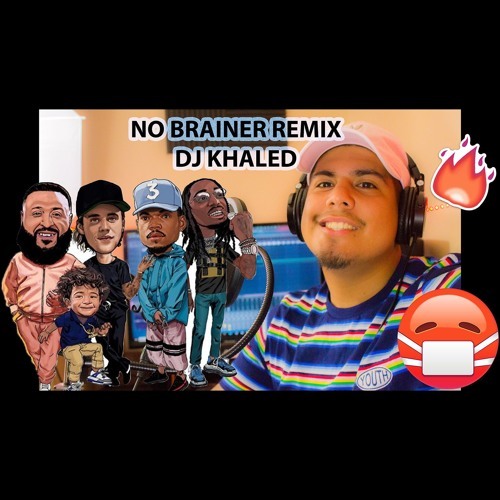 Full song : https://soundcloud.com/ckeelay/dj-khaled-no-brainer-ft-justin-bieber-chance-the-rapper-quavo-remix BTS, Music, and more here : https://www.patreon.com/Ckeelay Insta : http://instagram.com/Ckeelay Twitter : https://twitter.com/Ckeelay Aeromysticrecords@gmail.com Head over to my Patreon and check out the new features I have to offer and the beats I used in this video exclusive! Also would love to get in touch with all of you! Don't forget to Like, Subcribe, & Comment!